Your first shot should make a big impact. It does not matter if this is a shot from later in your story. 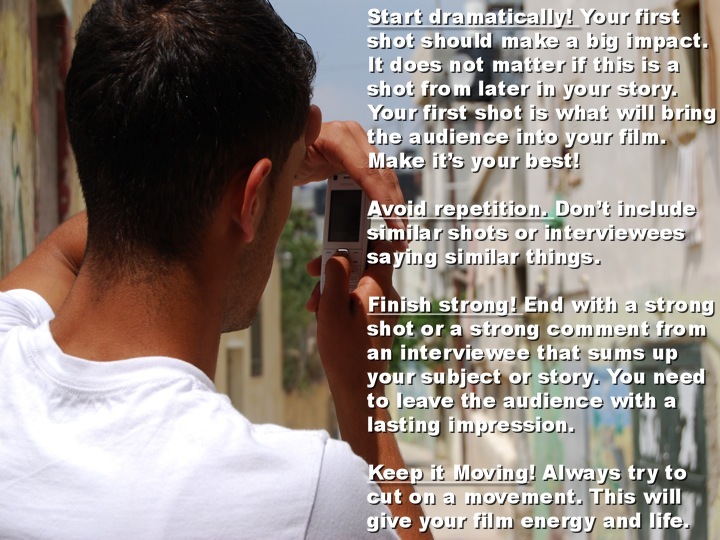 Your first shot is what will bring the audience into your film. Make it your best! Don’t include similar shots or interviewees saying similar things. End with a strong comment from an interviewee that sums up your subject or story. You need to leave the audience with a lasting impression. Always try to cut on a movement. This will give your film energy and life.